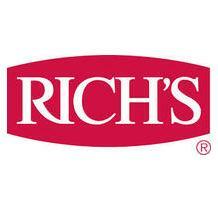 New Rich's® Artisan Crust Pizzas feature savory toppings piled onto our new, extraordinary crust that provides a distinctive aged-dough aroma with a bite and flavor inspired by Old World recipes and hometown pizzerias. Rich’s ground-breaking innovation combines exceptional quality with freezer-to-oven preparation and the convenience of a par-baked, making it fast and easy for you to deliver a true on-trend artisan pizza experience for your customers every time. You’ll find it hard to believe they’re not scratch-made!